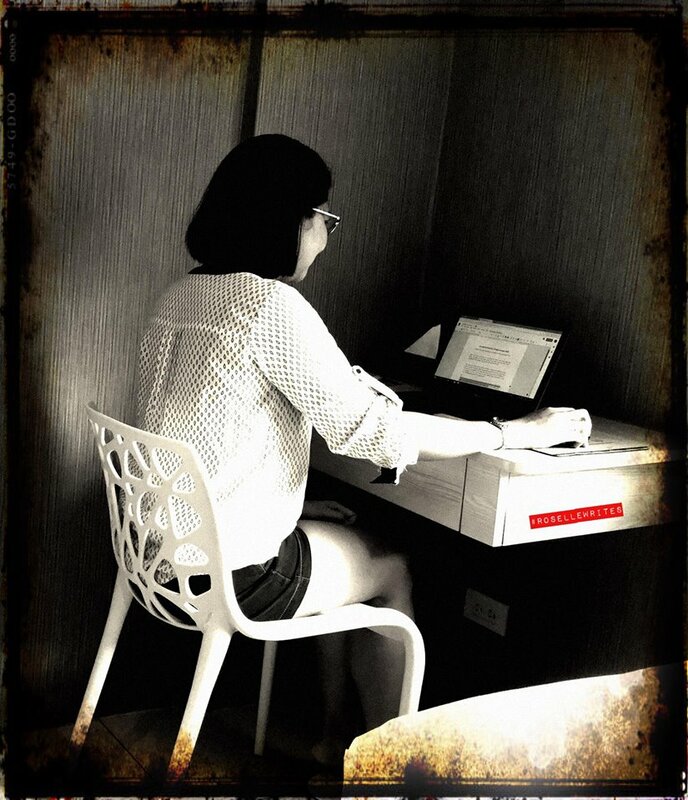 One of the reasons why I love the location of our new home is the proximity of places to eat. 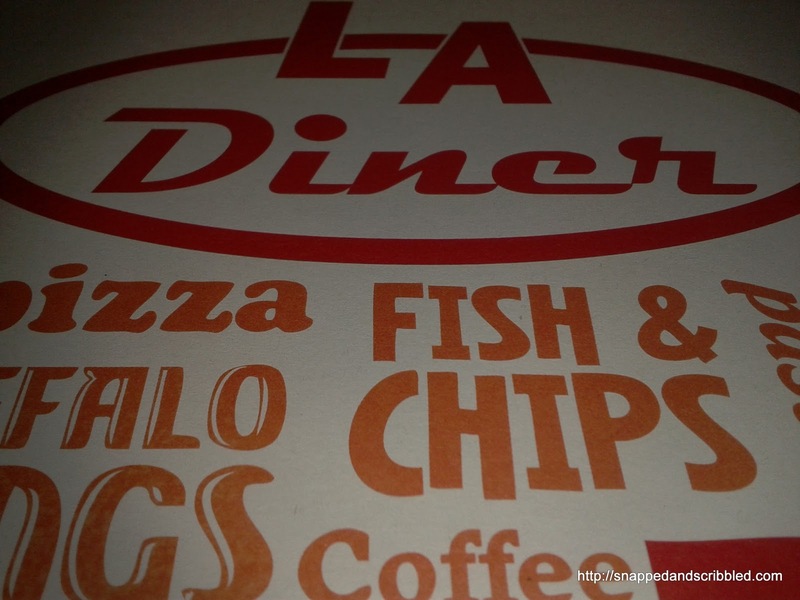 A new restaurant along Greenheights Newton Subdivision is L.A. Diner. It is occupying the building which was previously a factory of Camp Beverly Hills apparel. I've dined here five times already. There was even I time I went here on foot. It was a ten minute walk from where I live. 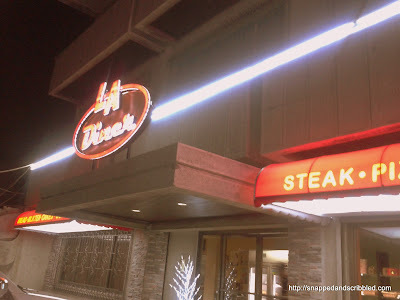 During our first visit, we were surprised with how the former CBH store was transformed into this cozy diner. When I saw the menu, I can't seem to decide what to order. I like almost everything. I was with my husband and sisters and we ordered as much as we can possibly eat. 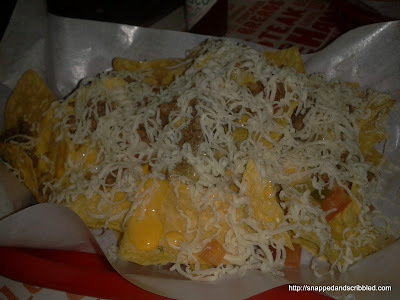 The NACHOS are generously topped with ground beef, chopped tomatoes, chopped onions and cheese. This starter costs P195 ($4.90). 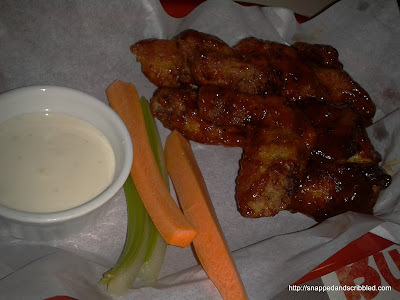 An order of BUFFALO WINGS will cost you P185 ($4.60). I want my buffalo wings to be spicy. 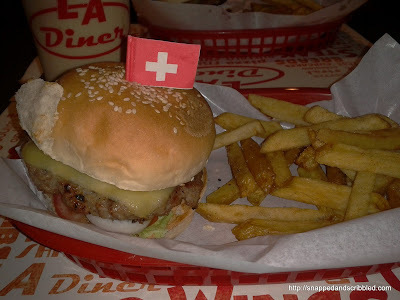 LA Diner's version is a mix of sweet and mild spiciness. I was kinda disappointed though that the wings have traces of blood. I never ordered this again on our next visits. 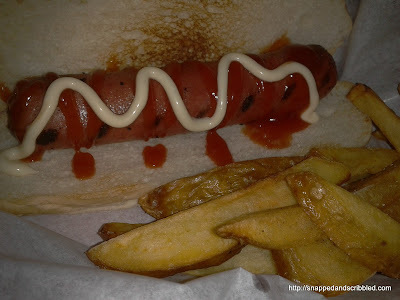 This is GRILLED FRANKFURTER. This is actually served with onions, pickles , mayonnaise, catsup and cheddar cheese. We requested for a simple mayo and catsup. 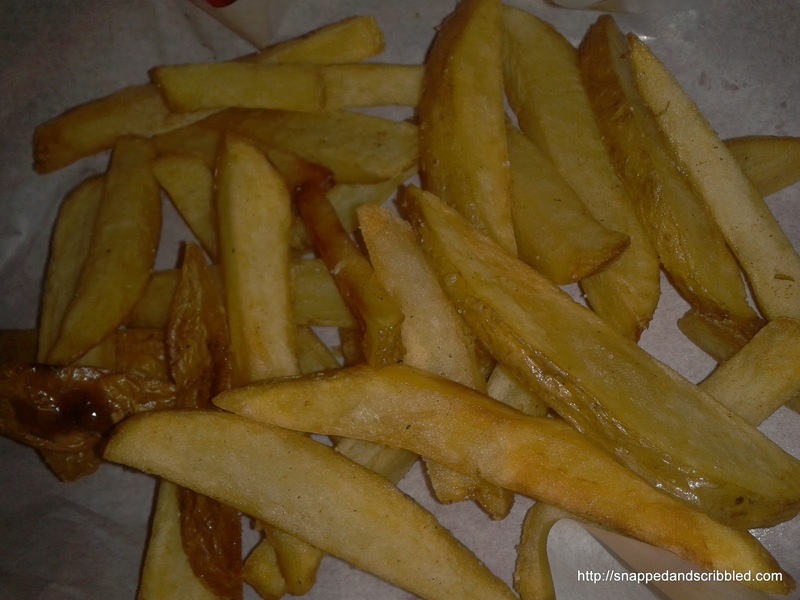 This comes with a generous serving of french fries. The sandwich costs P135 ($3.40). The LA DINER PIZZA is topped with beef, ham, pepperoni, bell pepper, onion, mushroom and mozzarella cheese. 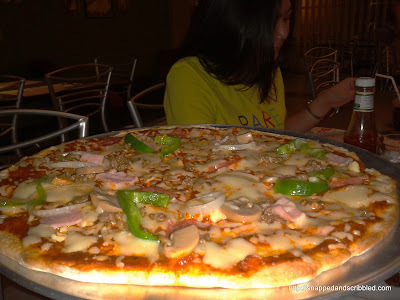 We ordered the family size priced at P295 ($7.40). I like this the most. A quarter pound patty HAMBURGER with french fries on the side. This costs P155 (S3.90). I paid an additional P10 for the cheese. We ordered an extra serving of french fries for P50 ($1.25). I was not able to take a picture of the BABY BACK RIBS which is so tender and yummy and my favorite WINTERMELON MILK TEA. Except for my disappointed with the BUFFALO WINGS, LA Diner is a great place to hang out and satisfy your cravings. I've been here five times already and I think I'll be back soon.